Today, Beckenham residents living in the Kelsey and Eden Park ward will be casting their votes in the by-election which was called following the recent resignation of Conservative councillor Dave Wibberley. My family have lived in Kelsey and Eden Park for over 40 years. I have always loved it and was able to move here almost ten years ago. I have a PhD in biochemistry, was a research scientist for nine years then became a commissioning editor. My experience of dealing with knife crime and youth crime generally is through working on a London based project that tackled both. I believe knife crime should be dealt with as a public health issue and have campaigned for this. Youth crime is rising in Bromley because of the cuts to the Youth Service, Sure Start and the police. I’d like to be a councillor here because the Tories on Bromley council are dangerously complacent. Because of the Tory and Lib Dem Coalition cuts, schools struggle with larger classes and fewer teachers, the police service is cut to the bone, day centres close and welfare and public services are decimated. I will demand Bromley Council fights our corner against government cuts. I fully back the Bromley Labour Opposition councillors who have pushed forward a review of road safety issues in Bromley and who have argued for safe crossings and 20mph zones across the borough, not just for one or two roads. I am opposed to the sell-off of council contracts such as street cleaning and the lack of accountability which leads to council tax payers not receiving the service they are paying for. At the moment recycling is minimal, the rubbish bins are not fit for purpose with our many foxes; rats are out and about in our parks and some roads are never cleaned. These are important issues for our community. We want it to be safe, clean and green. I fully intend to hold regular surgeries to listen to residents’ concerns and attend local meetings. The present Tory councillors do not do either of these. I want to represent my ward and deal with our issues. I live in the heart of the ward and, unlike other candidates, I have only ever stood to be a councillor here. I have attended the local Residents Association meetings with a view to raising the profile of important concerns. The result of the local elections in May where Labour came second in the ward shows that only Labour can get enough votes to beat the Tories in this by-election. I believe in real change. 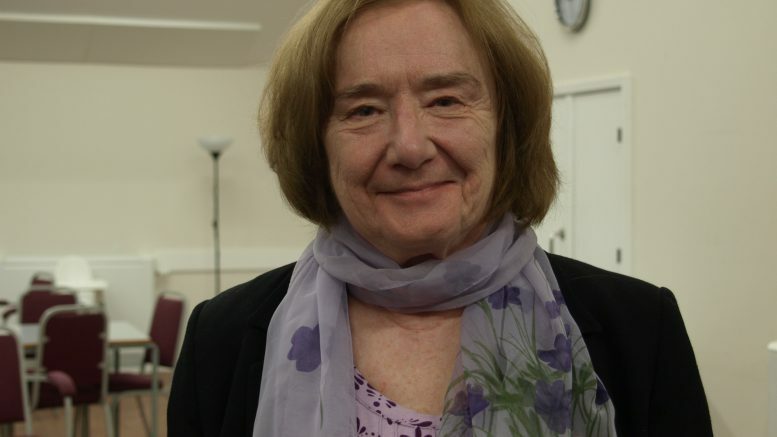 Be the first to comment on "Meet the Candidates – Marie Bardsley (Labour)"